Tekkie Pinas: America Crowns Maddie Poppe the new American Idol! 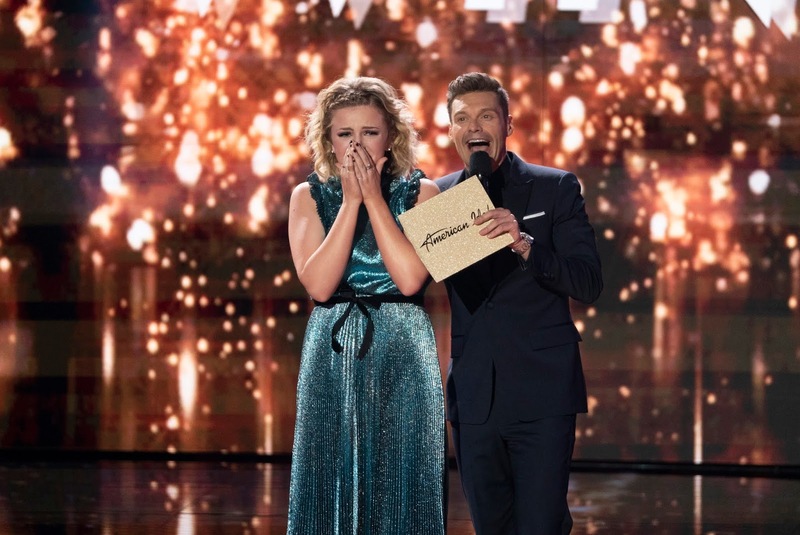 America Crowns Maddie Poppe the new American Idol! After an exciting night of performances, America has voted for singer-songwriter Maddie Poppe the winner of American Idol! Performing her audition song, “Rainbow Connection” with Kermit the Frog at the results show, Poppe endeared herself to the judges and the audience. “I don’t have many words to say, I felt like I was kind of an underdog for a while. I really did because my music is not mainstream, and so to know that I pulled this off just doing what I love, and I didn’t have to change myself is pretty incredible.” Poppe gushed. The results show had another OMG moment when it was revealed that Maddie Poppe and Caleb Lee Hutchinson are dating. Ultimately, Hutchinson came in second place, while country powerhouse Gabby Barrett took third place after being eliminated during the first hour. Sony Channel premiered American Idol in the Philippines, express from the US in March, and aired the final performance and results shows same time as the US. Sony Channel has consistently offered top-tier shows to its viewers, consistently making it as among the top-rated cable channels in the General Entertainment category. For more exciting updates, visit www.sonychannelasia.com.